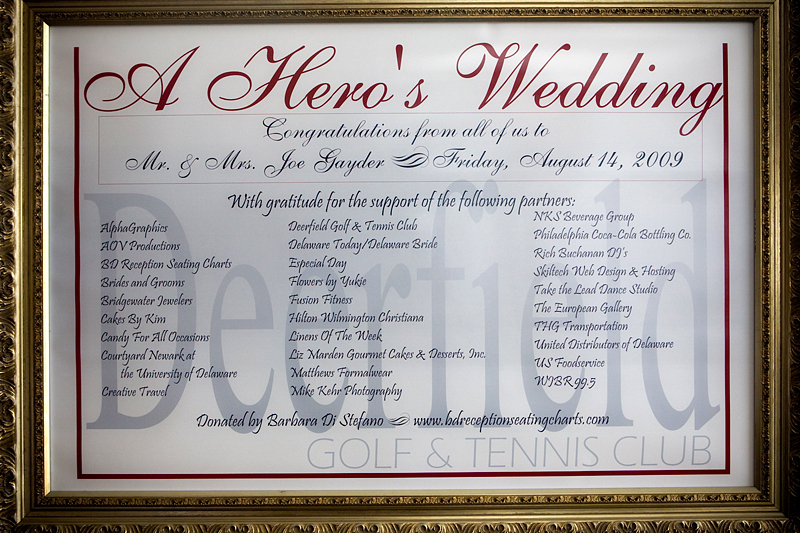 We were a part of the Hero Wedding at Deerfield Country Club this past Friday. Jeff Robinson approached us with an idea about eight months ago. 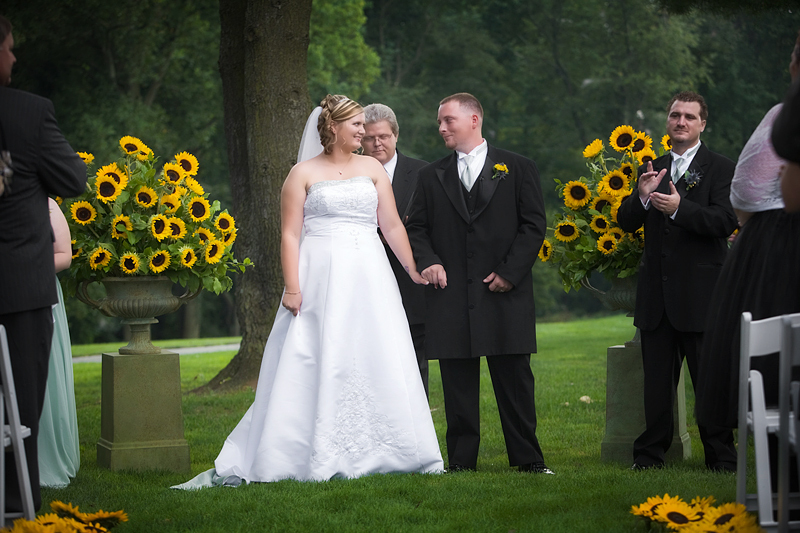 Deerfield was thinking about donating a wedding celebration to a deserving couple. Interestingly enough, Mike had a similar idea at almost the same time. So we joined the team of talented, local vendors who made a dream wedding possible for Sue & Joe. We had an amazing time working with the couple and their families. I can not imagine a more deserving and appreciative couple. They met while in service in Iraq and their relationship flourished. We were honored to witness and document their strong bond becoming official. Good luck to both of you! Thank you all vendors involved for being a part of this team effort. We truly enjoyed working with you! This entry was posted on Monday, August 17th, 2009 at 3:42 pm	and is filed under Brides, Studio News. You can follow any responses to this entry through the RSS 2.0 feed. Both comments and pings are currently closed.